"Dan suggested building a robot that would flush the toilet at timed intervals throughout the day. In my mind, calling something a ‘robot’ sounds like a sophisticated, possibly sentient being that can do your bidding. But simply put, a robot is a machine that can be programmed to do tasks, like flushing a toilet. 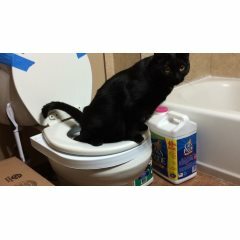 An automatic kitty toilet flusher sounded perfect!" "This article is the first in the ‘Projects’ category. 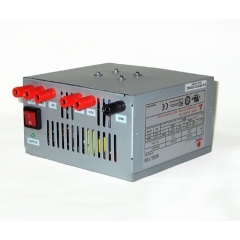 It’s a very inexpensive way to make a pretty good DC bench supply or dedicated 12 volt supply for working on projects or powering devices. As of this writing, a good quality and powerful ATX PSU (power supply unit) can be obtained online for about $20.00 or less. " 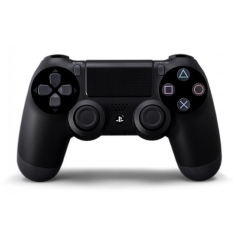 "I am very pleased to announce that I have now added support for the PS4 controller via Bluetooth. 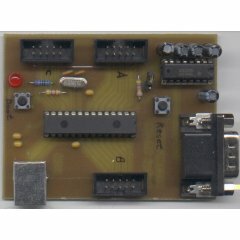 This will allow you to read all the buttons and joysticks with the same API as all the other libraries I have written for the USB Host library." "Although the panda effect is in 3D, and 3D is usually hard, several visual limitations simplify the problem greatly. The panda is only seen from the side, and is rotated about its exact center. This means that if I can figure out how to render a side view of a single layer of panda voxels, I’ve come up with a solution for the whole effect." "As far as solar powered vehicles go, the Hybrid Electric Kinetic Photovoltaic Vehicle (KPV) is probably the most innovative and eye catching of the lot. For one, the KPV is extremely portable and can fit in your suitcase. 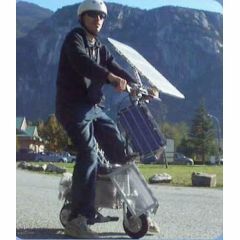 The KPV has a lithe body frame but can function just as well as any solar powered vehicle twice its size." "The goal of my project was to design and implement a mobile robot that can be controlled wirelessly using speech as a user interface. 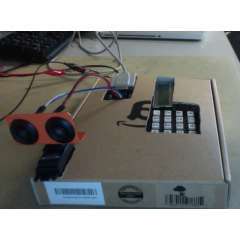 This was my first mobile robot which I built by forking concepts from here and there. 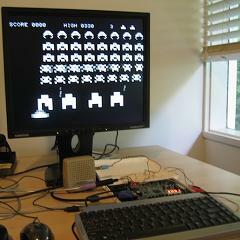 I tried to follow open standards and use opensource hardware and software components wherever possible." Named ‘El Relojito’ (relojo = watch in spanish), this seemingly simple design is a great project for anyone ready to move past the rank of ‘amateur’. 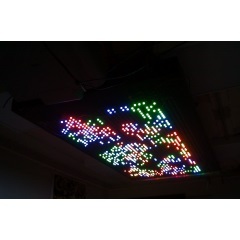 60 LEDs surround the 7-segment leds telling you the time. A PIC micro controlls all the action. 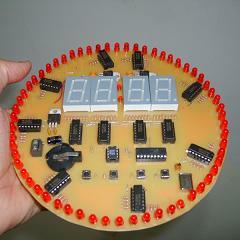 The write-up is in spanish, but the schematic/pictures should be enough to guide you.